Yesterday, I took Bean and Plum to Twin Lakes to have breakfast with Santa. We got up whilst it was still dark and set off early – we had to be there by 8am. The children had no idea what we were doing; I didn’t tell them what we were up to until we got to the reception and we were waiting for an elf to take us to breakfast. Plum was mildly excited, but clearly didn’t quite comprehend what was going to happen. Bean, on the other hand, nearly burst into tears he was so excited. The grin didn’t leave his face for the rest of the trip. We were soon collected in small groups by an elf and taken to the breakfast room where we were greeted by Mrs Claus and a very friendly Rudolph. Plum immediately gave Rudolph a big hug. There were name cards for all the 20 or so children already on the tables and they sat down for breakfast, which was huge! There was cereal, followed by a cooked breakfast (sausage, two rashers of bacon, scrambled eggs, baked beans, hash brown and toast) with fresh fruit juice and then followed by thick pancakes. There was also lots of fresh fruit available. The adults had tea and coffee and a choice of enormous bacon, sausage or egg sandwiches, which came wrapped up as little presents! During breakfast, Santa appeared and made his way around all the children, chatting, posing for photos and spending time with each one. 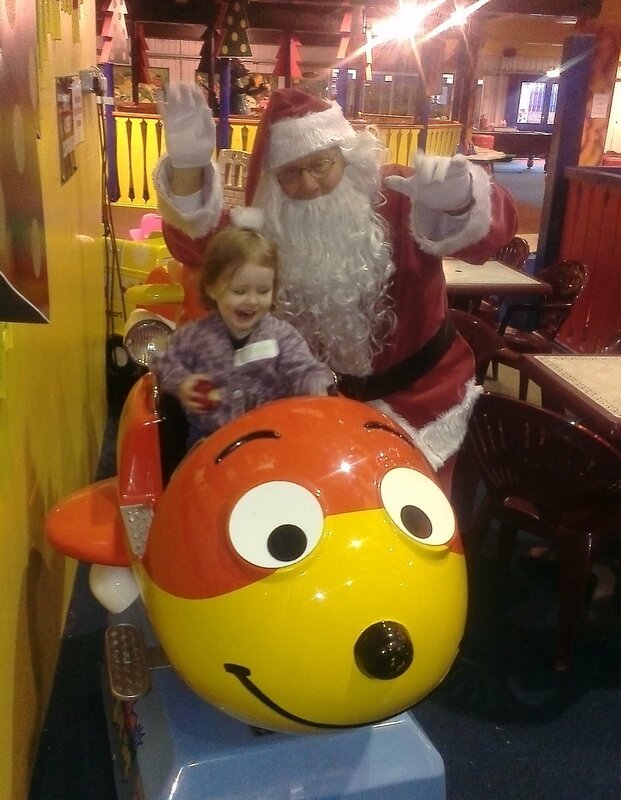 Plum wanted to be up and playing in between the various bits of breakfast and no-one minded that at all; in fact Santa helped her fly an aeroplane at one point! Breakfast was served by a team of elves who were lovely, and very enthusiastic. They were really attentive to the children and when Santa wasn’t talking to them, there were plenty of elves to chat to. Bean had a long conversation with a couple of elves about the Tooth Fairy (their BFF, apparently), a conversation which Santa joined. Over breakfast, Bean and Plum gave their Christmas letters to Santa (they thought it was amazing to hand their letter to the actual Santa! ); Mrs Claus put them in her pocket for safe keeping and assured them that she would put them with all the others they had already received. Once they had eaten as much as they wanted, each child was given a gingerbread teddy bear, some icing and lots of sweets and set about decorating them. It seemed to engage all the children equally and there were some lovely works of art. Santa and the elves walked around looking at each one, ooh-ing and ahh-ing. Now it was time for Santa to go to his house, and each child was called by name to see him (children from the same family went in together). We took our turn and walked through a magical winter wonderland of snow and twinkling lights, little woodland creatures and giant pine cones. At the end of the woodland we saw some giant skiing penguins and then we got into a train, which took us through more snowy woodland to Santa’s cottage. An elf escorted us to the big wooden door and Bean knocked on it. Another elf invited us into a cosy sitting room where Santa and Mrs Claus were waiting. Santa spoke to both the children, and they told him what they would like for Christmas. He commented on what a noisy house we would have if Plum was a good girl and got the drum she asked for, and the elf promised to work as hard as he could to make their toys. Bean told them that it is Plum’s birthday next weekend and so Santa sang Happy Birthday to her and then they both sat on his knee and had their photo taken. And then it was time to go – at least, it was time to leave Santa’s cottage. When we came out, we were given a complimentary copy of the photo of the children with Santa, along with a golden ticket each. We rejoined the rest of the children, and we all went to feed the reindeer, who were very happy to eat great handfuls of the food the children were given for them. Now for the final part of the adventure – a visit to the Crooked Elf’s Workshop, a delightful room with wooden doors inside the gift shop, staffed by another elf. The children were told they could choose any toy they wanted from inside this room, and there was a lot to choose from! After much thought and mind-changing, Plum chose a Magic Drawing Board and Bean chose a microscope. 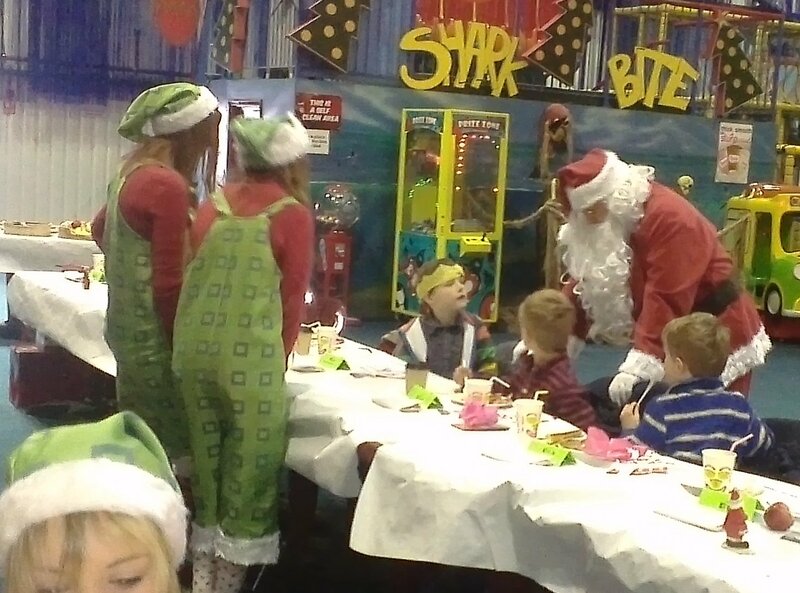 Our Breakfast with Santa experience lasted around 2 hours and was filled with fun and activities the whole time. Our tickets, however, included day-long access to the rest of the Twin Lakes park and so there was still plenty left for us to do. Tickets for Breakfast with Santa are limited and must be pre-booked online. An adult ticket with breakfast included costs £21.98 and a child ticket costs between £18.99 and £29.99, dependent on age. All tickets include full entry into the park and its attractions. We had a thoroughly magical experience. 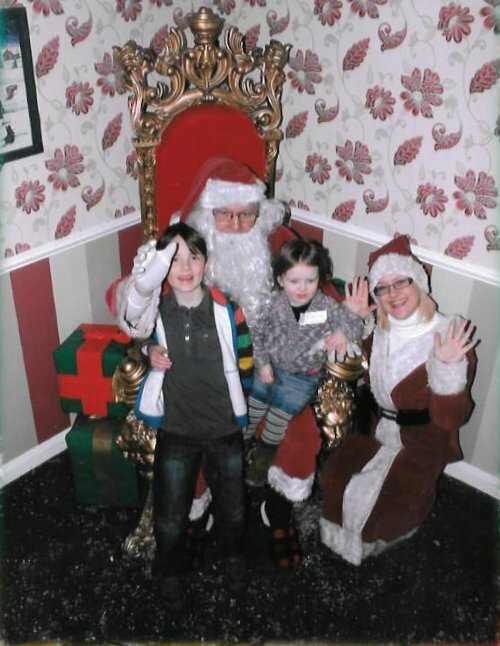 You can also visit Santa’s Grotto by buying a day pass (£13.99 for adults, £8.49-£13.99 for children. Children under 95cm get free entrance to the park and can visit Santa for a bargain price of £4.45). 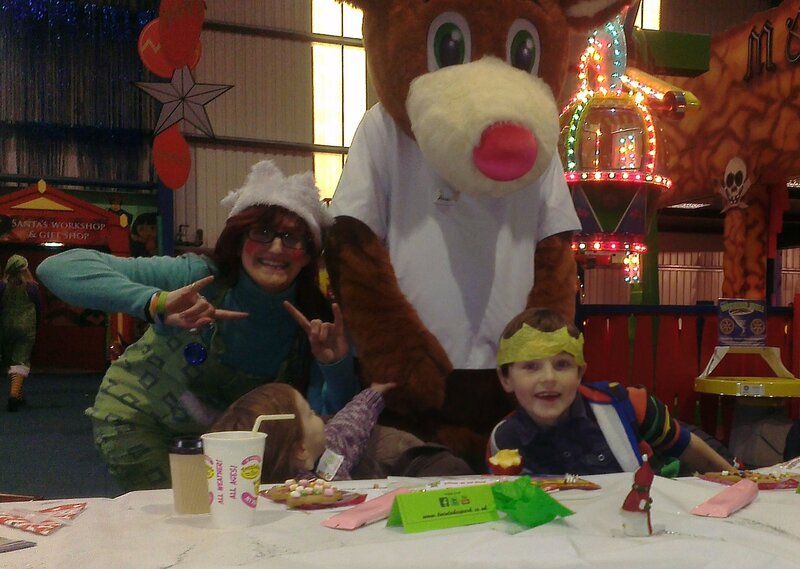 Children will get a packet of reindeer dust, a visit to Santa’s Grotto and a present from the Crooked Elf Workshop! Disclosure: We were given one adult and two child tickets free of charge in order to review the service on behalf of What’s Good to Do. However, our review is based only on our opinion and experience of the day. Oh. My. GOSH!!! I wish we lived where they did something like this!! I’m taking my little guy Eli to breakfast with Santa at the elementary school where I went this weekend. But it is NOTHING like this!! I am jealous!! It looks like they had a lot of really great things for the kids to choose from and lots to do! I’m so impressed!